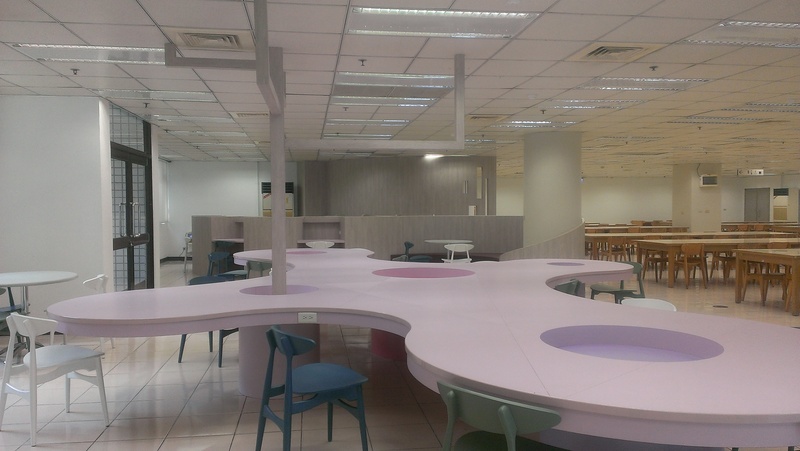 Cooperated with the University Development Plan named "Rise of Phoenix" in the 103-105 academic year, the library remoded the 24-hour study room of the Main Library from 6 March to 31 May 2015. This decoration considers the needs of modern reading, create a temperature reading atmosphere" as a concept to reshape the reading environment. The new study room offers personal reading tables that emphasize privacy and tables designed to be both aesthetic and elastic. 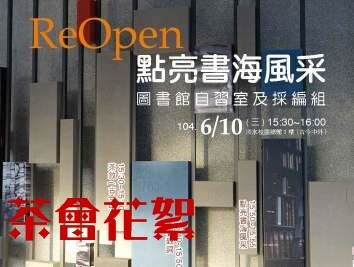 We hope to beautify the space, strengthen the reading atmosphere, bring you the greatest reading benefit. After renovation, the new newspaper area provides new comfort tables and chairs, next to this area is the RFID Smart Books on Hold area where we offer patrons a new technological way to pick up their books on hold themselves. Once a patron receive an email notice from the library when their holds are available they can come here to check their holds out through a RFID Smart books on hold system which consists of three parts: a checking workstation, smart selves, and a self-checkout machine. This way will save time for both of library staff and patrons.